The official also mentioned that a public awareness programme will be carried out through newspaper advertisements as well. Owners of older cars may have to soon rush to alter their number plates as the transport department has announced that they plan to crackdown on vehicles that don't have high-security number plates from next month. Those who don't comply will have to pay a fine or even risk going to jail. New car owners won't have to worry as all new cars come pre-fitted with regulation licence plates. Owners of older cars and bikes will need to install a high-security number plate before October 13 this year. However, the process of changing to high-security number plates will start only from October 2. According to a report in The Indian Express, the transport department clarified that there will be a total of 13 centres in Delhi alone that will upgrade licence plates. A transport department official said that these centres are being renovated to face the impeding rush. To keep the rush under control, a software is being developed that will enable car owners to apply for the licence plates online. Once the application is done, the applicant will be given a date and time. They will, after that, only have to drive into the centre and get the number plate changed. Fees for this can also be paid online. According to reports, applicants may have to pay Rs 67 for two-wheelers and Rs 213 for four-wheelers. This move is targeted at around 40 lakh vehicles with older number plate formats that ply the roads of Delhi. High-security licence plates are made of aluminium and are wrapped in reflective tapes. These are tamper proof and are equipped with self-destructive holograms. It also has a laser-branding of the vehicle's 10-digit Permanent Identification Number, making them less prone to theft. These plates were first rolled out in 2012 after the Supreme Court asked all states and union territories to ensure high-security licence plates were being put up on every vehicle by June 15 that year. Those who did not comply would risk contempt charges from the court. 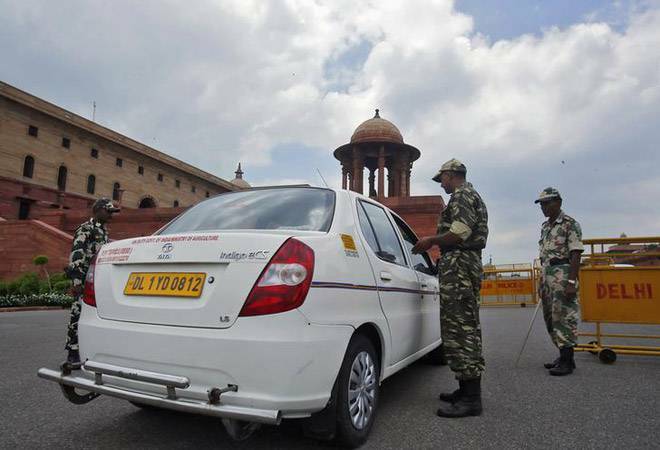 The court also mandated that vehicles in Delhi will also sport colour stickers identifying the kind of fuel being used. A light-blue coloured sticker will signify petrol and CNG-run vehicles, while orange stickers will signify diesel. Car owners will be able to get both the stickers and licence plates during one visit to the centres.